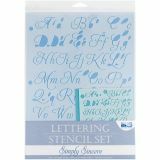 Lettering Stencil 4pc Sets - BLUE HILLS STUDIO-Lettering Stencils. 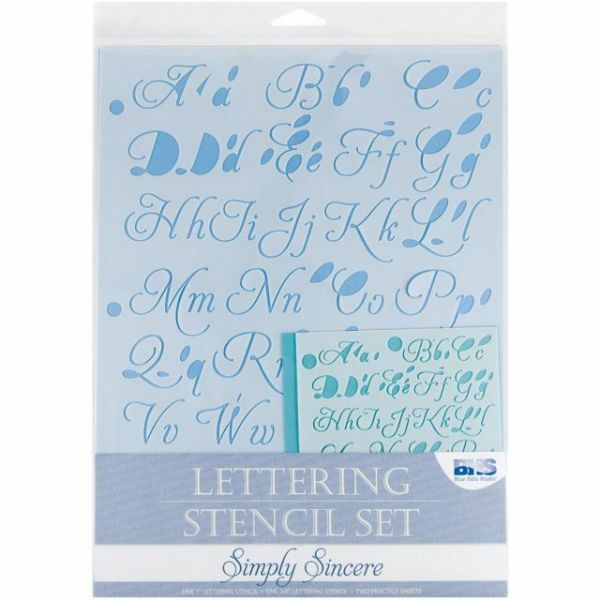 Each four piece set includes one 1in and one 3/8in stencil of the same font, plus two pieces of colored cardstock. All stencils include alphabet, numbers and special characters. Available in a variety of special fonts (each sold separately). Imported.